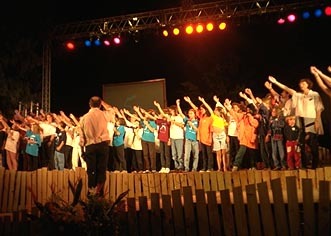 The younger girls did a polychromatic dance while their fathers sang a tender lullaby. 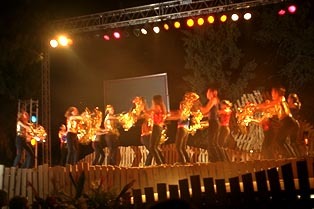 The older girls demonstrated what goes on at kibbutz parties today. 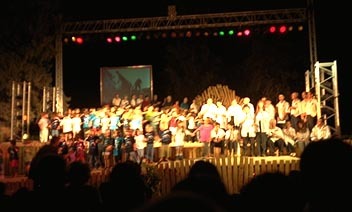 For some numbers, practically the whole kibbutz was on stage. 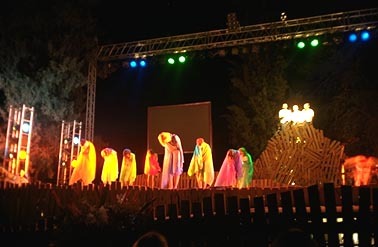 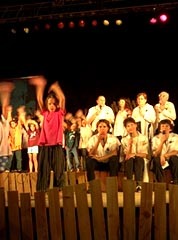 In the finale, singing a song about Tzuba, everyone finally gestures off to the kibbutz itself.